One of the most exciting things about studying the history of Orthodoxy in America is discovering a holy person who’s been completely forgotten. It’s commonly — and correctly — observed that God has glorified many more saints than are listed in the Synaxarion or depicted in icons. The ultimate example might be the Alexandrian cobbler from the life of St. Anthony: a simple layman who, according to God himself, was holier than Anthony. We remember Anthony and don’t even know the cobbler’s name, but there is no doubt that he is among that cloud of witnesses before the throne of God. In this article, I’ve briefly described the lives of five little-known American Orthodox priests, all of whom, in my view, should be considered for canonization. I haven’t mentioned any laymen (or women), or any of the pious bishops in our history (such as Metropolitan Leonty Turkevich or Bishop Gerasimos Papadopoulos). And I know I’m just scratching the surface in terms of the holy priests who have served in America. But we know enough about these five priests that I can say, with fairly high confidence, that all of them are models who warrant further study. Fr. Theoclitos was from Greece and became a monk at the Russian monastery of St. Panteleimon on Mount Athos. From there, he went to Russia itself, where he studied at the Moscow Theological Academy. This is where things get really interesting. Fr. Theoclitos was asked by King George I of Greece to tutor the king’s young son. Then the Russian Tsar, Alexander III, asked Fr. Theoclitos to return to Russia and tutor his children, including the future Tsar Nicholas II. Fr. Theoclitos was actually one of the priests who served at the wedding of Nicholas II and his wife Alexandra. In the 1890s, the Greeks and Serbs of Galveston, Texas got together and petitioned the Russian Church to send them a priest. Tsar Nicholas II himself answered their petition by sending them his old tutor, Fr. Theoclitos, who by this time was in his early sixties. 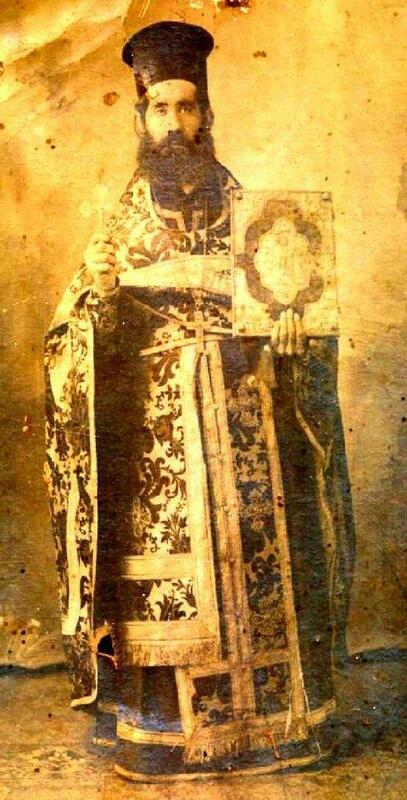 He was one of a remarkable influx of great priests brought to America by Bishop Nicholas Ziorov (a group that included Ss. Raphael Hawaweeny, Alexander Hotovitzky, and John Kochurov, as well as other possible saints, including some listed in this article). Fr. Theoclitos was the priest in Galveston for two decades, until his death in 1916. But he didn’t just take care of the Galveston parish — he took responsibility for the Orthodox people living throughout the Gulf Coast and beyond, traveling thousands of miles by horse and by train (and remember — he was an elderly man at this point). He ministered to all people, regardless of ethnicity, and had a gentle and holy disposition. His parish, which was named Ss. Constantine and Helen, eventually came to be predominantly Serbian, and many years after his death, the church switched from the Russian to the Serbian jurisdiction. But to this day, they continue to venerate their original Greek priest, sent by the Russian Tsar. For more on Fr. Theoclitos, read this 2009 article by Mimo Milosevich and this 1914 Christmas homily by Fr. Theoclitos himself. At just 19, Nicola Yanney and his young wife Martha immigrated to America from Syria in the early 1890s, settling near Kearney, Nebraska. In 1902, Martha died while giving birth to their fifth child, and the baby died shortly thereafter. At 29, Nicola was a widower with four children. It is difficult to imagine the pain and turmoil he endured. Two years later, the local Antiochian Orthodox community in Kearney asked that Nicola be ordained to serve as their priest. He traveled to Brooklyn, where the newly consecrated Bishop Raphael Hawaweeny educated and ordained him — this was St. Raphael’s first ordination. It might have been his best, too — while continuing to raise his children as a single parent, Fr. Nicola traveled all over the middle of the country, visiting Orthodox people in remote areas and performing baptisms, weddings, and funerals. For example, in 1911, he made at least 35 pastoral visits to at least a dozen different states and performed a total of 85 baptisms. That was in addition to serving his own parish in Kearney, and raising his four surviving children without a wife. The Spanish flu pandemic hit the United States in 1918, and a number of Fr. Nicola’s Kearney parishioners were infected. That didn’t deter Fr. Nicola, though — he continued to minister to them, bringing them communion and hearing their confessions. You can probably guess where this is going: eventually, he caught the flu himself. It led to pneumonia, and he died on October 28, 1918. The cause of death may have been pneumonia brought on by the flu, but in reality it was a tireless devotion to his people. Few Orthodox priests in America have ever died so well. For more on Fr. Nicola, read this 75-page PDF prepared by Fr. Christopher Morris, or, for a shorter account, check out this 2008 article by Fr. Paul Hodge. Also, in October, I’ll be the keynote speaker at an event commemorating the 100th anniversary of Fr. Nicola’s repose, hosted by his parish in Kearney, Nebraska. 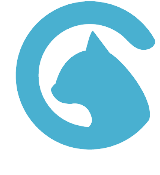 The event is free; for all the details, click here. Ilia Zotikov was a seminary classmate in Russia of the future American missionaries and hieromartyrs Alexander Hotovitzky and John Kochurov. St. Alexander referred to Fr. Ilia as “my best friend.” And like his friends, Fr. Ilia was a missionary to America and a martyr under the Bolsheviks, but for some reason he’s slipped through the cracks of history. Fr. Ilia was a married priest who was brought to New York by Bishop Nicholas Ziorov in 1895. He spent 15 years in the United States, all of them as the assistant priest at St. Nicholas Cathedral. His best friend, Fr. Alexander Hotovitzky, was the cathedral dean. After returning to Russia, Fr. 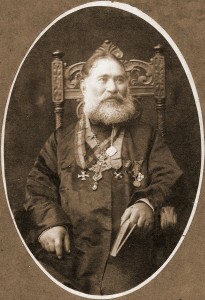 Ilia was a parish priest in St. Petersburg until 1919, when he again became Fr. Alexander’s assistant, this time at the great Christ the Savior Cathedral in Moscow. In both New York and Moscow, Fr. Ilia and Fr. Alexander served under St. Tikhon Bellavin, who by 1919 was Patriarch of Moscow. But it wasn’t just a happy reunion. The Bolsheviks had taken over Russia and ruthlessly persecuted Orthodox clergy. Over the next decade, Fr. Ilia was in and out of prison and exile. His last arrest was in October 1930, after which (on October 23) he was either executed by firing squad or died of a heart attack on his way to be executed (sources differ on this point). For more on Fr. Ilia, read this 2012 article by Aram Sarkisian, who stumbled upon Fr. Ilia while researching his family history. 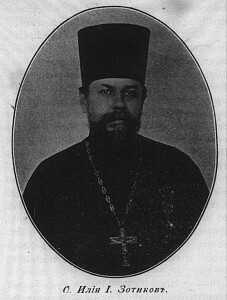 In 1915, Fr. Jacob and his family moved to Hawaii, where he again became the first resident priest in what was, up to then, untilled land for Orthodoxy. While there, someone told him that there were Orthodox people in Australia who had no priest, so Fr. Jacob traveled there, becoming the first Orthodox priest on the continent. He paid for all of his missionary work out of his own funds. At some point, he passed through Mexico, where he and his wife adopted an orphan girl. Eventually, he returned to the Russian Empire (to Odessa, now in Ukraine) — just in time for the onslaught of Communism. Little is known of Fr. Jacob’s later years, but we do know that he was arrested by the Soviet government on June 23, 1941, and was executed two months later. He was 80 years old. For more on Fr. Jacob, read this article I wrote several years ago. Fr. Joseph was younger than the other four priests listed here — he was born in the 1880s, so about a generation later. He was ethnically Greek, but he initially served under St. Raphael’s Syro-Arab Mission, and his Antiochian parishioners actually mistook him for being half Syrian because he related to them so well. 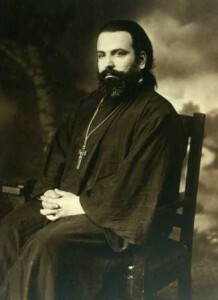 He eventually served Greek and Antiochian parishes simultaneously in Wilkes-Barre, Pa., and he later served in Connecticut and Massachusetts before retiring to the Chicago area. Fr. Joseph was notable for many things, among them his work in ministering to young women. He started women’s organizations at his parishes and encouraged women to sign in the choir — a fairly innovative concept in those days. Fr. Joseph died on July 22, 1981. In many ways, he was a new Fr. Theoclitos Triantafilides, who himself was simply following in the footsteps of St. Paul, being all things to all men. For more on Fr. Joseph, read my article on his life, and read his grandson’s recollections. These five priests represent the tip of the iceberg in terms of undiscovered saints, and what I’ve presented here is the briefest of introductions to their lives. I hope that, in the years to come, we can work to preserve their memories, learn more about their lives, and uncover more priests, bishops, and laypeople like them in our history.